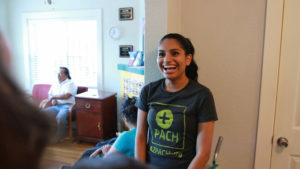 The PACH Clinic is more than just a free version of America’s broken health care structure. 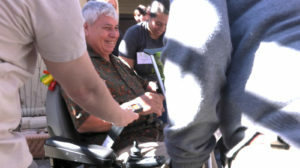 We seek to enter into collaborative relationships with the community we serve. We seek to provide socially conscious care that integrates the best practices of holistic traditions and modern biomedicine; from acupuncture to dietary education, wellness checks to prescriptions, public advocacy to effective caseworking… our neighbors deserve nothing less. 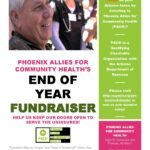 PACH is a volunteer-run clinic that provides services free of charge to those who are unable to obtain insurance, or who find insurance unaffordable. The PACH Clinic is where medical and non-medical volunteers can work with these individuals to identify and treat medical conditions before they cause long-term complications. We strive to create a model that is sustainable and provides the most good to the community, given the current inadequacies of our healthcare system. Our volunteer medical providers include licensed healthcare professionals from many different disciplines as well as supervised health care profession students. Our non-medical volunteers are provided on-site training in important skills, including medical assisting, phlebotomy, and clinic management and many are inspired by their experience at PACH to further their education to become medical professionals serving the underserved. As we move forward, we are committed to working in close collaboration with local schools, universities, faith communities, and community empowerment organizations to build an organization that is both responsive and accountable to the needs of the local community. This is, of course, an enormous undertaking. We’ll need neighborhood input, donations, and volunteers of all types to make it happen. We can’t do this without you. Join us; Together we can build an effective and caring clinic for our neighbors and community.